In your WordPress Admin navigation you’ll find User > Your Profile. You’ll want to ensure that you fill in two sections, which are the Email Address and your Description. The email address you want to use should be the same as the one you use for your Gravatar account. (More on that in a moment.) Keep in mind that this email address has nothing to do with the addressed found in Settings > General, which is used by WordPress to notify you of the status of your site, like comments being left or backups. And, it can be different from the address you use in your contact forms. The other section you want to fill in is the Description, which can be used in your Author Resource Box and User widget, if your theme supports either of those. In Settings > Discussion, at the bottom you’ll find a section titled Avatars. This is where you select the default image that will show when folks leave a comment on your site. 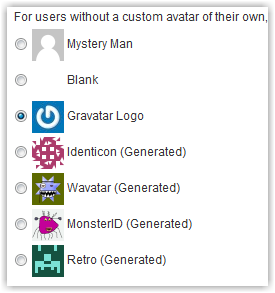 Gravatar is the most ubiquitous online presence platform available. You need an account so that your image and info will display properly in your own site’s Comments. And, you can use that same account email address when logging on to leave a comment on another site. You’ll want to use the same image of yourself for your Google account that you use for your Gravatar account. This will help you keep a consistent profile image all over the Internet and easily be recognizable. There is one caveat to all of this. If you use your brand’s logo in some places as your online profile image, say on Facebook, folks may not be able to put two and two together to mate it up with a picture of you that you’re using everywhere else. So, you’ll want to give some thought to the images you are using on every platform and determine the best way to be as consistent as possible. Following are extra resources to get you started with Gravatar and Google and how to max out on its use with Comment sections on your site and others. What methods are you using to provide a consistent presence online? Where have you made compromises? Do you have multiple global ID accounts? Great advice MaAnna and some very helpful info. You’ve created a much needed site here with a design to which many people can relate! Thanks Connie! Glad you find it helpful. I know what you mean about having them all over the place. I keep an Excel file of all my online accounts, else I’d never keep up. Isn’t it amazing how many it takes to actually be everywhere? And then, keeping them updated! You were right MaAnna, I was certainly interested in this post. You make excellent points about gravatar images and consistency. I tell people all the time; use your logo and your picture, but use the same colors/images over and over and over so people put your with the logo. thank you for some excellent information. Most happy to help Dorien. Noticed that your Gravatar image is not showing up here in the comments yet. May want to check the account or the email it’s using.